Dr. Frederick Ramos is a pulmonologist from Sacramento, California. He graduated from the Cebu Institute of Medicine and afterwards he completed a residency at the Bridgeport Hospital. 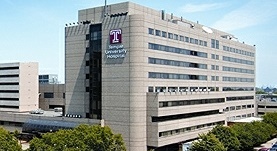 He attended a fellowship training at the Temple University Hospital. Dr. Ramos is a board-certified specialist in Sleep Medicine, Pulmonary Disease, Internal Medicine, and Critical Care Medicine. He is licensed to practice medicine in California and Pennsylvania. He is the co-author of a study that focused on mucus accumulation in COPD and correlated clinical issues. He is currently affiliated with the Temple University Hospital in Philadelphia. Dr. Frederick Ramos has contributed to 1 publications. Clinical issues of mucus accumulation in COPD. Ramos, F. L.,Krahnke, J. S.,Kim, V.; Int J Chron Obstruct Pulmon Dis. 2014 Feb 05.